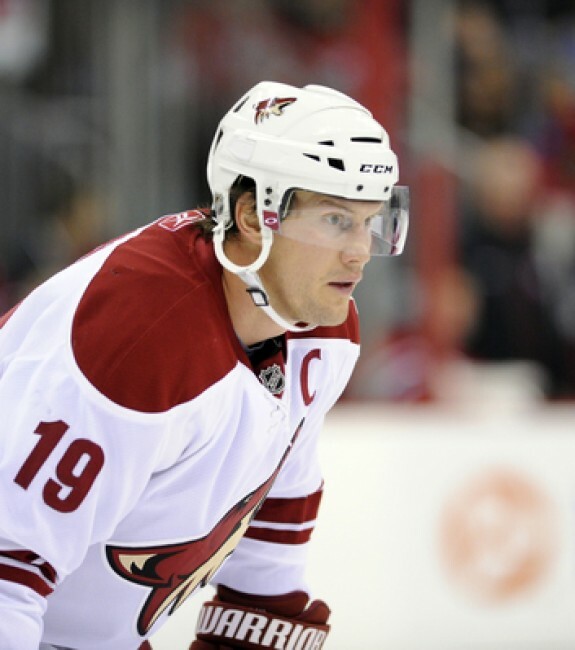 By the end of last season, it became obvious the Arizona Coyotes were in dire need of two critical elements. First, they lacked scoring on a consistent basis and second, the absence of speed was clearly evident. In an effort to transition from disaster to hope, several players have emerged through trades and juniors to help addresses these important issues. In the continuing search, coach Dave Tippett may have found one player already on the roster who can tackle these critical needs. In left wing Tobias Rieder, the Coyotes may have discovered a player who exemplifies both scoring and speed. Rieder started last season with Portland in the AHL but after nine games with the Pirates, he was called up the Coyotes. 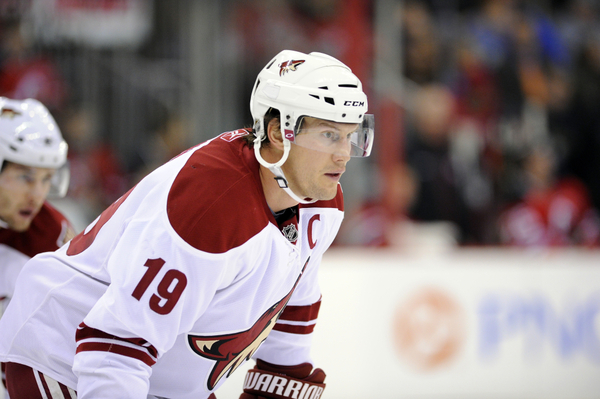 Placed on a line with Antoine Vermette at center and captain Shane Doan on the right wing, Rieder flourished. He proceeded to score at opportune times and emerged as a strong, two-way player. Now, Rieder, at 22-years-old, could develop as the Coyotes break-out player for the coming season. Already, he has drawn the praises of Tippett, who is the first to understand his value. Perhaps Rider’s greatest assets are his speed down the wing and his ability to kill penalties. Emerging as one of the top rookie penalty killers last season, Rieder led all rookies with three, short-handed goals, and is the first skater Tippett sends out when the Coyotes are short-handed. Rieder honed his defensive skills under Steve Spott while playing junior hockey at Kitchener. Spott emphasized intelligent play in the defensive end of the rink, and Rieder became an ardent pupil. With Kitchener, Rieder scored 92 goals in three years and was drafted by the Oilers in the fourth round, Edmonton’s seventh choice, in the 2011 draft. Eventually, he was traded to the Coyotes for Kale Kessy in March, 2013. Equally adept at skating at even-strength as on the power play, Rieder chipped in with important goals last season, and says playing a complete game every night remains his ultimate goal. Still, Rieder turned in a solid, offensive season. Ending the year with 13 goals, eight assists for 21 points in 72 games, Rieder was tied for fifth among rookies in goals scored, and fourth in rookies shots on goal. His three short-handed goals topped all rookies and Cedric Paquette of Tampa Bay finished second with two, short-handed tallies. While players and the front office staff would like to forget the various maladies of last season, Rieder points out the past cannot be completed forgotten. For the 2014-15 season, the Coyotes suffered through a terrible experience and ended up with the second worst record in the NHL. When the season begins in the Staples Center against the Kings on October 9, there’s a good chance Rieder will not be skating with Vermette and Doan. That’s the explanation from Tippett, who said he has yet to create lines. Still, Rider should continue his growth as a solid two-way player and dependable winger. Given his skill set, Rieder, a native of Landshut, Germany, should materialize as an important and vital component in the Coyotes quest to regain points in the standings and credibility off the ice. For the Coyotes’ first pre-season game Monday night against the Kings in Bakersfield, Calif., Tippett had Rieder skating on the right wing with rookie Anthony Duclair on the left side and veteran Brad Richardson in the middle. While Tippett said lines have not been established, the trip of Rieder-Richardson-Duclair has the capability to produce the kinds of results management seeks. That’s speed, power and the ability to put the puck in the net on a continuous basis.